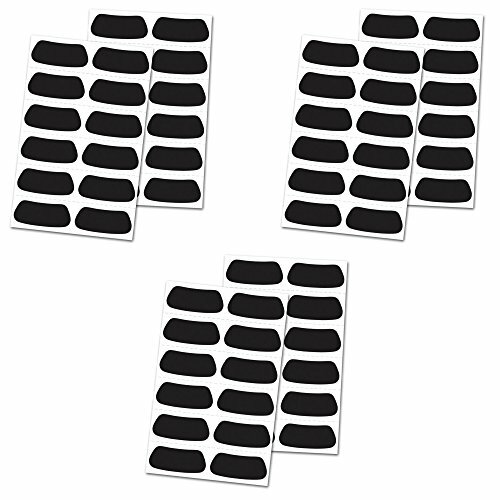 Rawlings Eye Black Stickers Team Pack 3-Pack (36 Pairs Total). Perfect for a long season or as a team pack! Simply pull off the sticker and place under your eyes! Works well for adults and kids/youth. Eye black stickers also great for Also great for football, lacrosse, and other sports or activities! Simply pull off the eye black sticker eye strips and place under your eyes. Works well for adults and kids/youth. Also great for football, lacrosse, and other sports or activities. If you have any questions about this product by Rawlings/Tanners, contact us by completing and submitting the form below. If you are looking for a specif part number, please include it with your message.